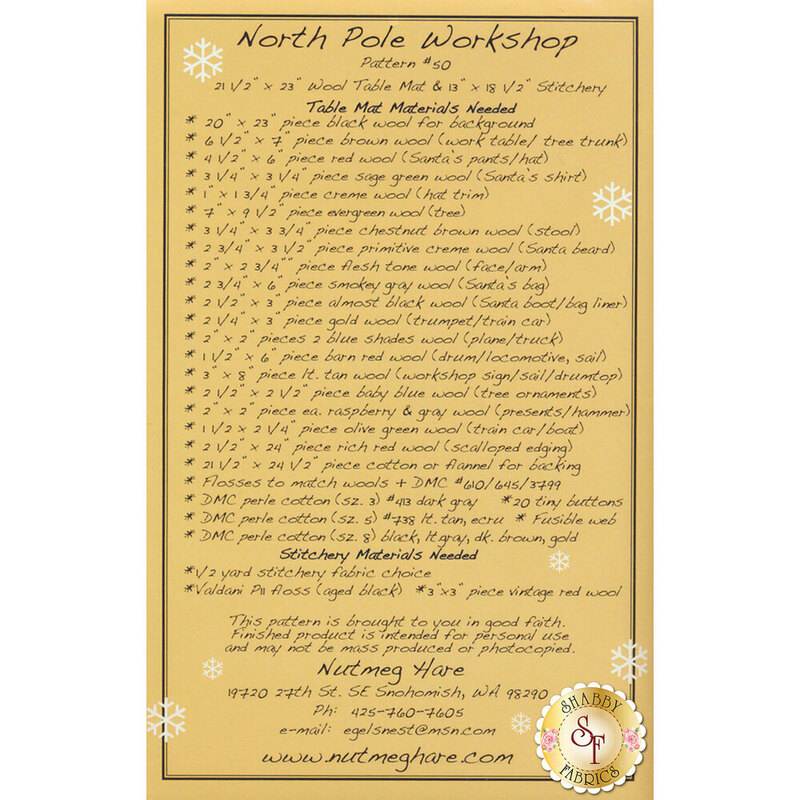 The North Pole Workshop wool applique pattern is extra special because it comes with a great verse to stitch, you will definitely want to make both! It's never too soon to begin your holiday projects. Finished wool mat with scalloped edge measures at 21 1/2" x 23". Finished stitchery measures 13" x 18 1/2" framed.